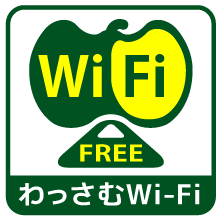 Thank you for use the Wassamu Town Free Wi-Fi! Successfully connected. To prevent unauthorized use, This Wi-Fi will be disconnected in 30 minutes.Authentication is required again after 30 minutes have elapsed. © 2019 Wassamu town All rights reserved.